I’ll be back on campus the week of September 21, and am eager to reconvene with faculty, staff, and students. A faculty roundtable is in the works, and a student forum is already scheduled for Wednesday Sept 23, 3:30-4:30 pm. 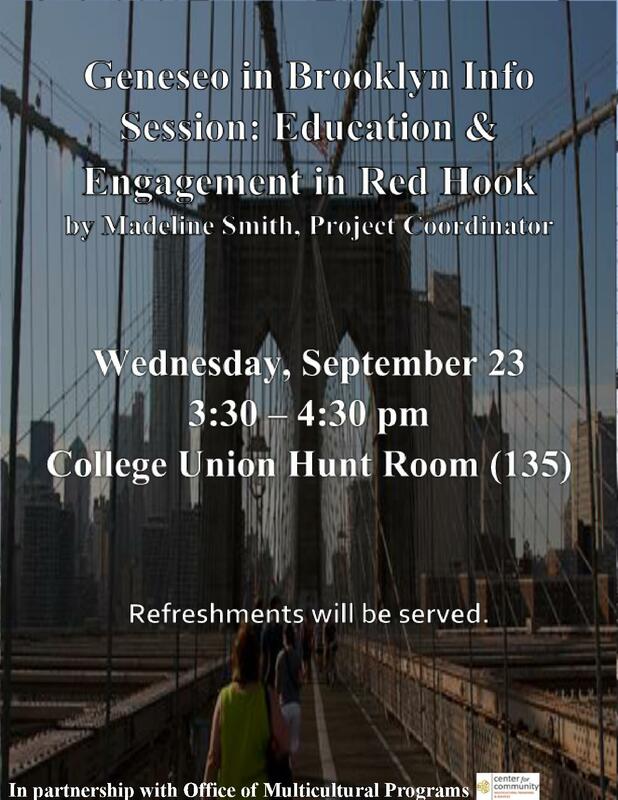 Students are invited to learn more about our Red Hook program in a forum that will allow them to give direct feedback on coursework, research, and internship opportunities in Red Hook and what they would like to see. This will help us as we move forward with a bit of structure for useful student offerings. All students are welcome, but I can imagine some of the most valuable feedback will come from NYC students, especially those from Brooklyn. Spread the word, and please encourage your students to attend.